Figure. Western Blot; Sample: Recombinant VCL, Human. 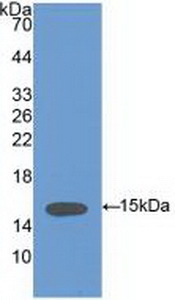 RPB839Hu01 Recombinant Vinculin (VCL) Positive Control; Immunogen; SDS-PAGE; WB. RPB839Hu02 Recombinant Vinculin (VCL) Positive Control; Immunogen; SDS-PAGE; WB. PAB839Hu01 Polyclonal Antibody to Vinculin (VCL) WB; IHC; ICC; IP. CAB839Hu01 Anti-Vinculin (VCL) Polyclonal Antibody Loading Control of WB. 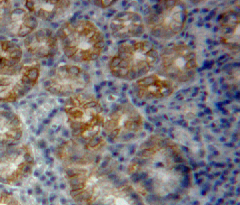 LAB839Hu71 Biotin-Linked Polyclonal Antibody to Vinculin (VCL) WB; IHC; ICC. MAB839Hu22 Monoclonal Antibody to Vinculin (VCL) WB; IHC; ICC; IP. CAB839Hu22 Anti-Vinculin (VCL) Monoclonal Antibody Loading Control of WB. SEB839Hu ELISA Kit for Vinculin (VCL) Enzyme-linked immunosorbent assay for Antigen Detection.